Continuing my love affair with pork, curing, and smoking, I decided to start some Canadian bacon so the pastrami will not get lonely in the smoker on Sunday. Combine all ingredients in a large pot and bring to a simmer, stirring to dissolve the salt and sugar. 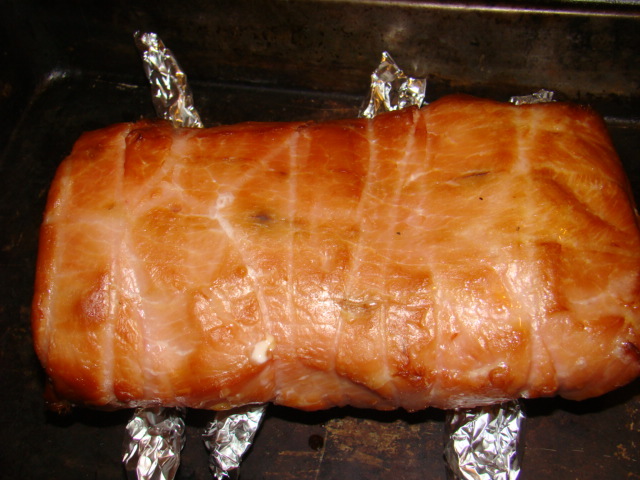 Meanwhile trim the fat from a pork loin. Let brine cool to room temperature, then chill (outside works perfectly today) until cold. 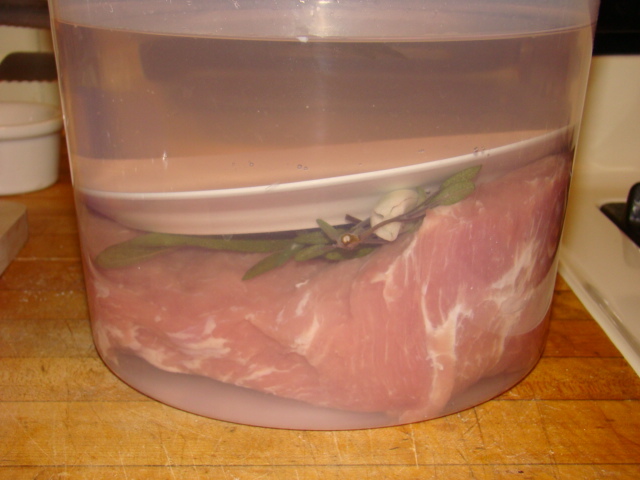 Add the brine to the loin in a nonreactive container. 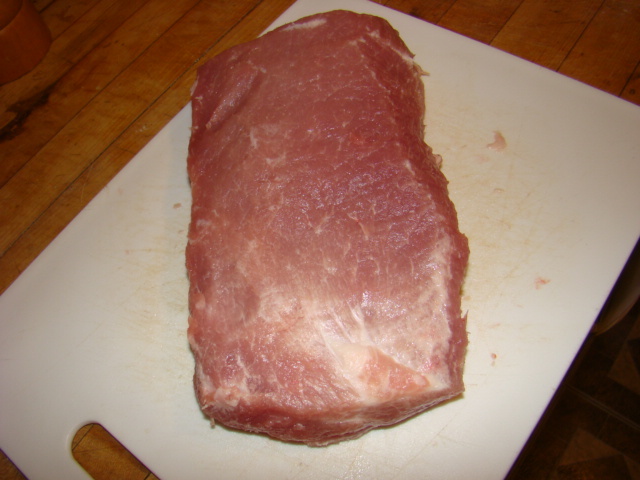 Submerge the loin – using a plate as needed to weigh it down. Refrigerate for 48 hours. 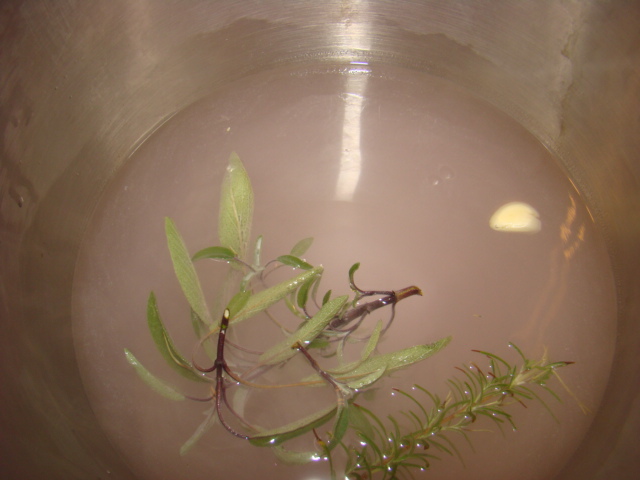 Remove the loin from the brine, rinse under cold water and pat it dry. You can see some of the deeper red color from the cure, you’ll see more once we heat it up. At this point the recipe call for a hot smoke but I will cold smoke it, then finish in the same slow oven as the pastrami. After 6 hours out in the smoker. Ready for the slow (275F) oven to finish cooking. The color change should be dramatic if cured properly. Out of the oven, beautiful color, it tightened up a lot. Have to have a taste.- As you might suspect the end pieces will be somewhat salty, but the flavor is great. This is so easy, just takes time. The next morning sliced it up for packaging in six slice packs. Headed to the freezer, but not before we do a final taste test. >I love these posts. I don't know how to do any of this and I am learning so much. Thanks. >Hi Becky, Thanks! I recommend the book Charcuterie by Michael Ruhlman and Brian Polcyn. It is straightforward and there is enough "easy" recipes to dip your toe in. You broke down a deer, you can easily do this! 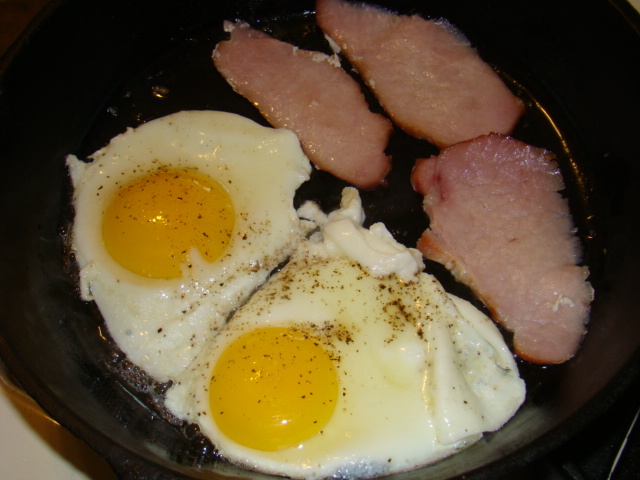 >Hey David, just noticed the picture that looked suspiciously like an English breakfast, so read what you did to the bacon and have a suggestion. 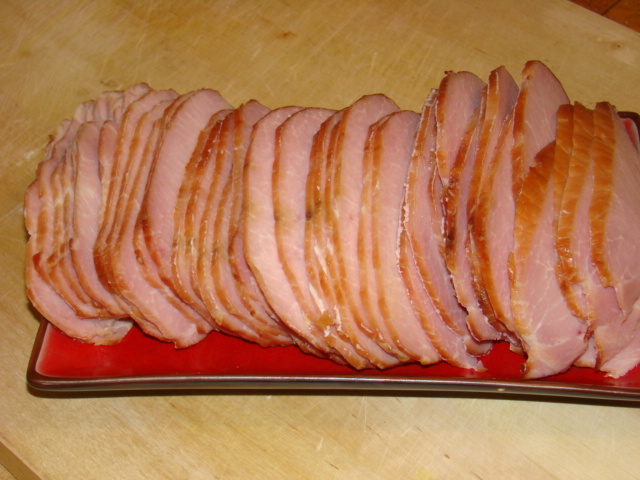 If you slice it before cooking, you get 'English' bacon – the best ever! Really hard to come across over here and expensive. 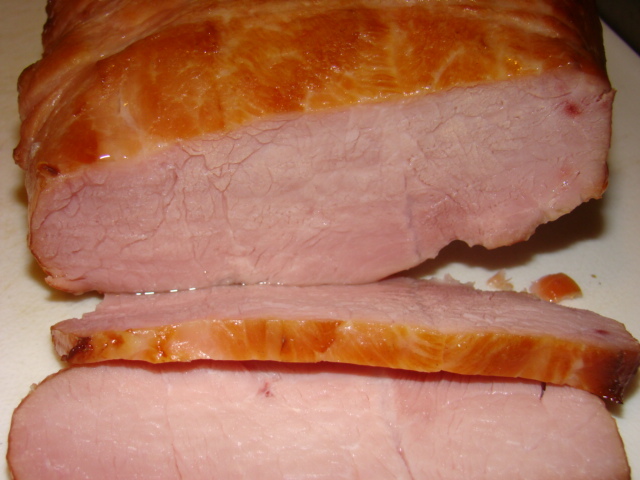 Once sliced it can be treated the same way as American bacon. Just a thought! >Thanks Jo! So Slice the loin and then bake it? We'll have to talk. >No, you don't bake it at all, you cook it like you would regular bacon – on a griddle. Then for a real English treat put it between a couple of thick slices of fresh bread with a dollop of HP sauce (from World Market) …Mmmmm – bacon butties!